Lighting is switching to energy efficient light sources and new guides have been introduced to help consumers make an informed choice. Understanding the help of offer can take whole heap of study but it isn’t as complex as you may first imagine. Let us help you make the switch to energy efficient lighting. At the Lighting Company, we have been working towards helping customers understand the latest advancements in light fittings and light bulbs as they happen. 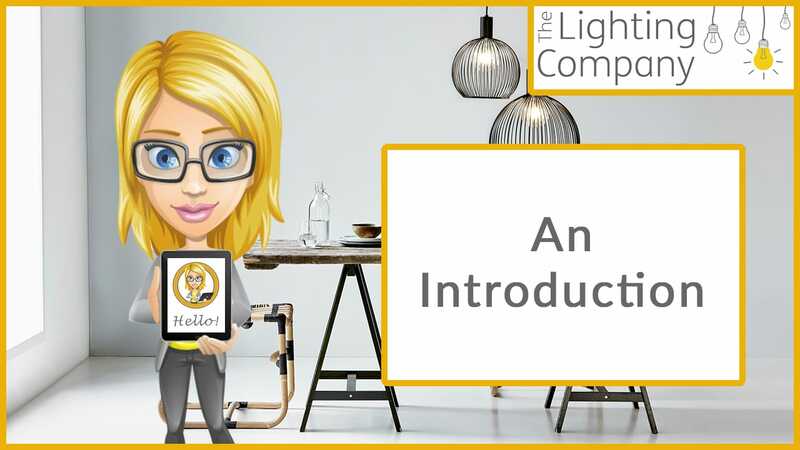 We’ve even introduced our own Lighting Guru called Ellie D. Ellie is an animated character who simplifies jargon and “tech speak” in a video format, if you’d rather not read a lot of blurb (we promise to keep it simple) and want to take in the latest information in a fun way then head over to our video blog. If you prefer to read on thank you, we’re delighted you have! It is super important to get to grips with the changes sooner rather than later. The dawn of LED is here and more mainstream than many may have imagined, particularly if you haven’t bought new lights or replacement light bulbs in a while you’ll feel very much in the dark. Let us enlighten you! New light fittings have been rated according to their energy consumption. ‘A’ rated light fittings are lights that have integrated LED’s rather that replaceable light bulbs. You can buy A+ lighting from our online shop and there are some great reasons to do that for ease of use and energy saving to name but two, however it’s not your only option. 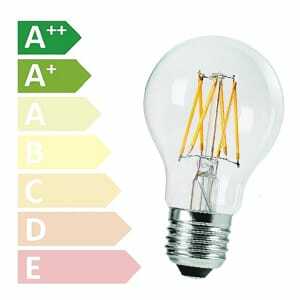 Many, in fact the majority of light fittings give you the choice of which type of light bulb you want after purchase and these are rated as ‘B’ rated and below. These can be just as energy saving as A+ rated lights when you use them with LED bulbs. We recommend LED light bulbs at the checkout when you buy lights from the Lighting Company but you could also buy these as replacement bulbs for your current lights, these are often dimmable too and we feel confident our LED bulbs are some of the best in the market. I think most in the UK are aware of carbon footprints and renewable energies but breaking the habits formed over decades does take a little shift in our buying patterns. Culturally in the UK our willingness to change to LED and energy saving in general is at the forefront of all our minds, for homeowners and for businesses alike. Who doesn’t want to save money on the electric bill? But what is the best way to save energy? We’ve all started to look at our energy consumption, which is great, you may have even invested in a smart meter yourselves and now watch the flashing lights whilst incessantly muttering to yourself about how much it costs to run a family home. The awareness (or lack of!) regarding what will make the difference to the bill leaves many in the dark. This may be quite literally! Dark winter evenings have now arrived and we predict this will have a detrimental effect on many a happy homes this winter. Homes will be plunging into darkness as a direct effect of the large uptake in electric meters. At dusk we reach for the light switch and that natty little energy meter springs to life. What many don’t appreciate is that you could save approximately 90% off your lighting bill, simply by switching to a better light source. 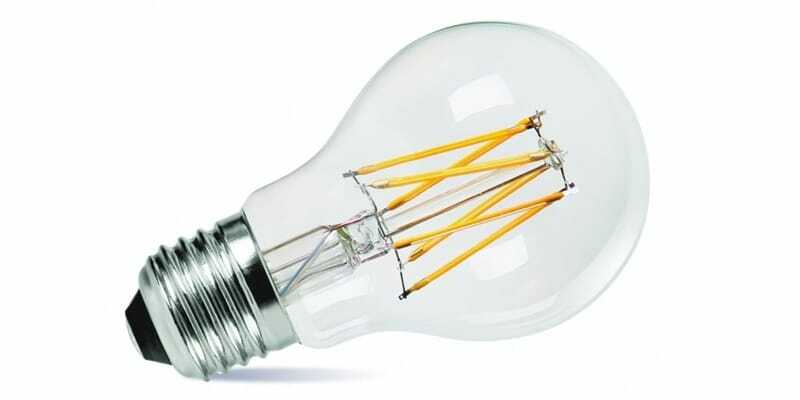 Let’s explain a little about energy saving light bulbs which you can install in your current lights. • Cap: Firstly, establish what cap size you need such as ES/E27 or BC/B22. Often it will tell you on the light itself or in the instructions. If not see below to view the options. 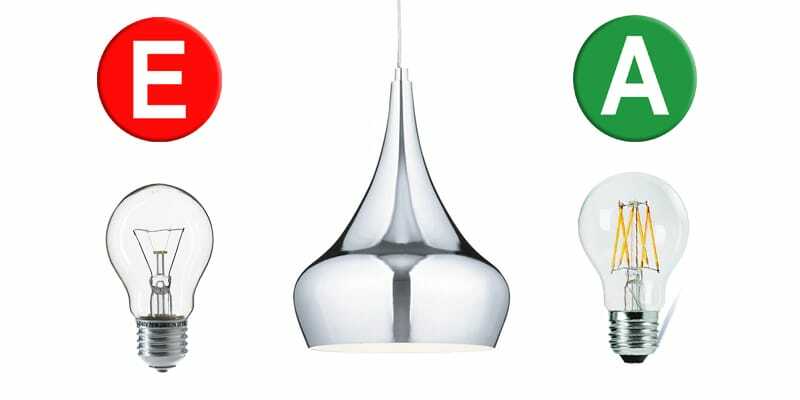 • Lumen Output: Next, decide what light level do you want to get from each bulb. This is now called lumens as the wattage only tells what energy you will be using. Ideally, you’d probably want a low wattage and high Lumen output. For example, we sell an 8 watt light bulb which gives 1000 lumens of light (1000 lm) which is roughly equivalent to the old style 100 watt light bulbs in light level but 90% more efficient; in effect 90 watts of the light you get without paying for the electric costs you used to. That is an incredible saving! The light bulbs do last much longer, on average usage it could be up to 15 years. • Colour Temperature: Following on from that, what colour temperature do you need? LED’s are now available in a variety of colour temperatures (known as Kelvin) so you can choose the appropriate temperature for every room in the house ranging from warm white to cool white. • Dimmable: Do you want to dim the light? If so buy a dimmable version. Keep in mind some dimmer switches were made to dim incandescent light which were higher energy consumption. They never needed to dim anything as low as 8 watts. Your dimmer switch may operate bulbs that are 60 watts or above so you may need to change the switch to one suited to LED’s. If it’s not designed for it then it may simply not work. Caps highlighted in yellow are available as LED versions from us. LED surpasses all other light sources in history in efficiency, longevity and illumination! There are simply no better benefits using any other light source. 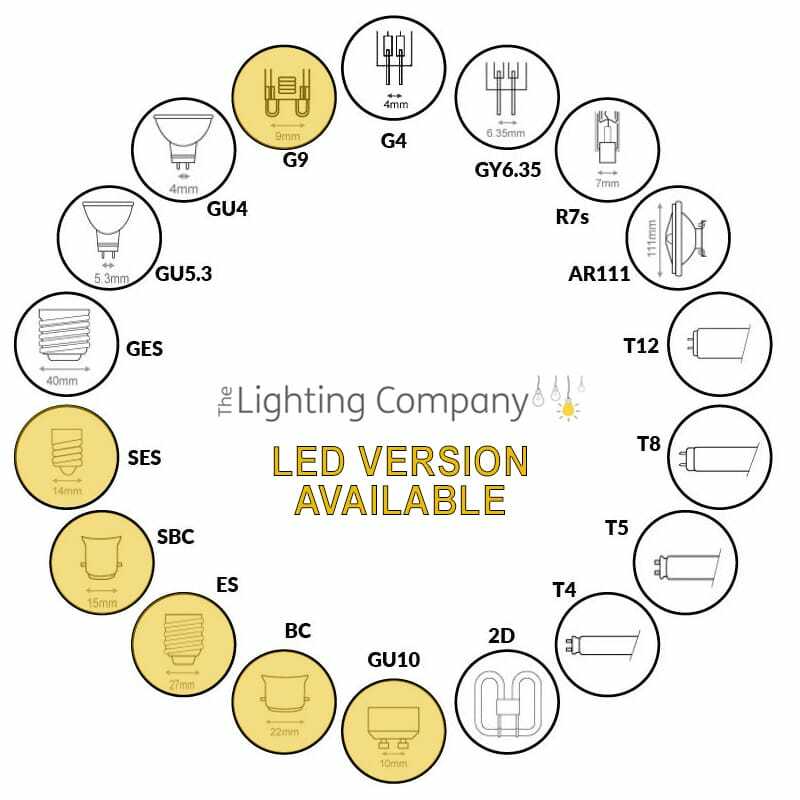 We understand it’s all about choice and as recently as a few years ago LED’s were still in the research and development stage and costly to buy. They had some troubles getting the right colour of light and many people deemed the lights too harsh and of course failure rates are always high at the initial stages. This bad press and the myths that grew from it may have coloured your view. Let us enlighten you, LED is not the future – it’s now! Efforts and developments in the lighting industry obtained stability with LED performance so much so that it has changed how we measure lighting forever. Be assured whilst you may need to understand the changes, switch to LED, the investment is worth making. This isn’t a newfangled approach Edison, credited with producing the first viable light bulb had teething troubles and I dare say we would have been skeptical at that time too but we stuck with that basic design for decades. It is all about buying quality as many LED’s are very cheap but rather dull. A superior quality LED will not only give good light but will be cheap to power and last for 15 years or more dependent on use. When buying a new light bulb look for Lumens. Energy ratings on boxes will help. This is one of the best LED bulbs we’ve found. We’ve reduced our own energy consumption in our showroom by 56% saving a staggering £240 a month! In summary saving energy and your own money is easier than you think, by improving your lighting and how you use it it’s as easy as 1,2,3! 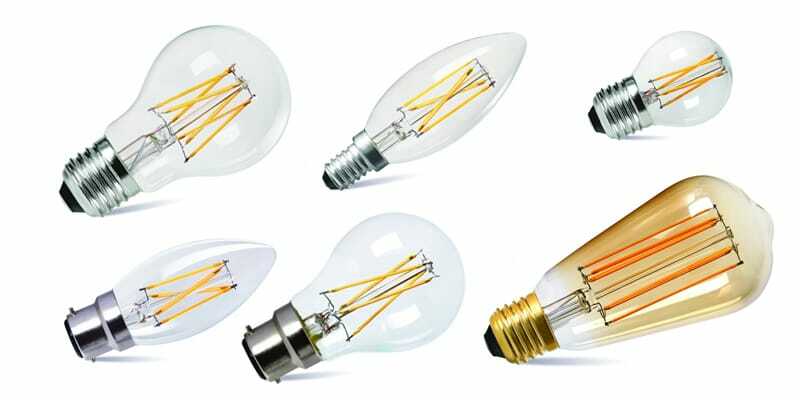 Switch all your old style filament bulbs to LED’s/Light Emitting Diodes, for instant savings. This can reduce the consumption by up to 90%! Don’t light rooms that are unoccupied. Only light the rooms for humans not for fun. Human centric lighting has become a buss word for industry studies. This involves sensors for rooms that are not occupied. When replacing light fittings look for ‘A’ Rated Light Fitments or fit B rated or below fittings with LED’s wherever possible. It may interest you to know we have a FREE digital magazine full of inspirational content and offers! Sign up to our newsletter below to become one of our enlightened VIP’s and receive your FREE copies now. ← Previous Previous post: Let’s Get Hammered! Next → Next post: How Do You Light a Bathroom that has no Windows?